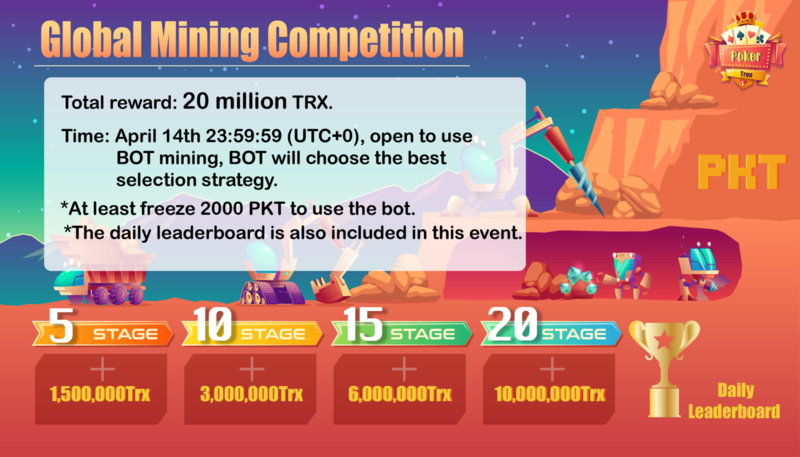 Poker Tron Global Mining Competition! 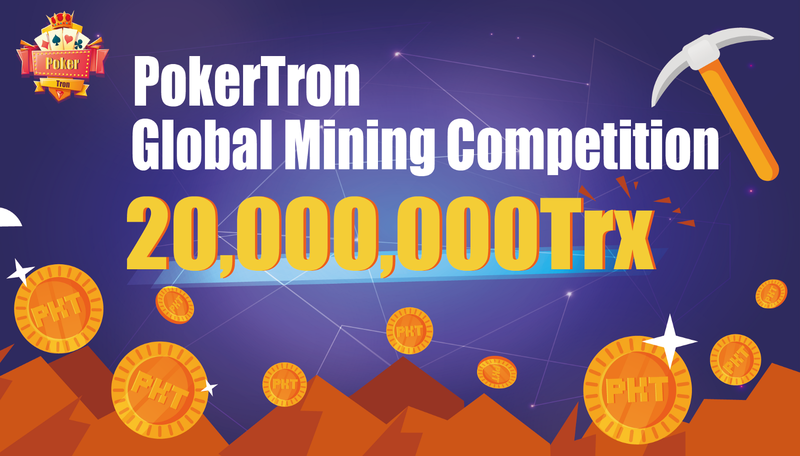 We are about to launch the Poker Tron Global Mining Competition. Time: April 14th 23:59:59 (UTC+0), open to use BOT mining, BOT will choose the best selection. *The daily leaderboard is also included in this event. *Many of the Poker Tron Mining tool are ready to go online, we try to get a win-win cooperation plan with them! But we failed, So we make one! The fairest for all players. Poker Tron is the first decentralized poker gaming platform on the TRON. It is totally transparent and provably fair. Video Poker game have been launched on the platform. Stay tuned as more are coming!